Robert Sacre's stats are up in a tough season. Robert Sacre is 7 feet tall, so the man is hard to miss. Of course, even if you don’t spot Sacre right away, you can probably hear him if you wander into the same zip code. “What you see is what you get: a really big personality,” says Steven Gray, Sacre’s teammate on the Gonzaga basketball team. “I think I get that from my grandpa,” Sacre says with one of his frequent, wide smiles. “He’s a rooster, I guess, is the best way I can describe him. Gray and Gonzaga coach Mark Few certainly aren’t afraid to say that they admire Sacre (pronounced SOCK-ray, French for “holy”) for all the hard work the junior center has put in to develop into one of the best big men on the West Coast. “He came in very raw … [but] he’s always been a freak athlete with size,” Gray says. “He’s a plow horse that you can just count on,” Few says. “As loyal a guy as you’ll ever find. Sacre averages 14.0 points, 6.7 rebounds and 1.8 blocked shots per game. All three marks are career bests. Sacre says the best is yet to come — “I know there’s so much more I can unravel behind the curtains” — but he’s been a consistent bright spot in an unusually trying season for the Bulldogs. Sacre, a reserve on the Canadian national basketball team last summer at the World Championships in Turkey, was born and raised in Louisiana. He moved to North Vancouver, British Columbia, after his parents split up when he was in grade school. Sacre’s mother, former LSU basketball player Leslie Sacre, grew up in the Vancouver area. Sacre’s father, former NFL and LSU football player Greg LaFleur, is the athletic director at Southern University in Baton Rouge, La. Sacre says Louisiana State was one of several schools that offered him a scholarship. He was so impressed with the “family” at Gonzaga that he committed prior to his junior season of high school. 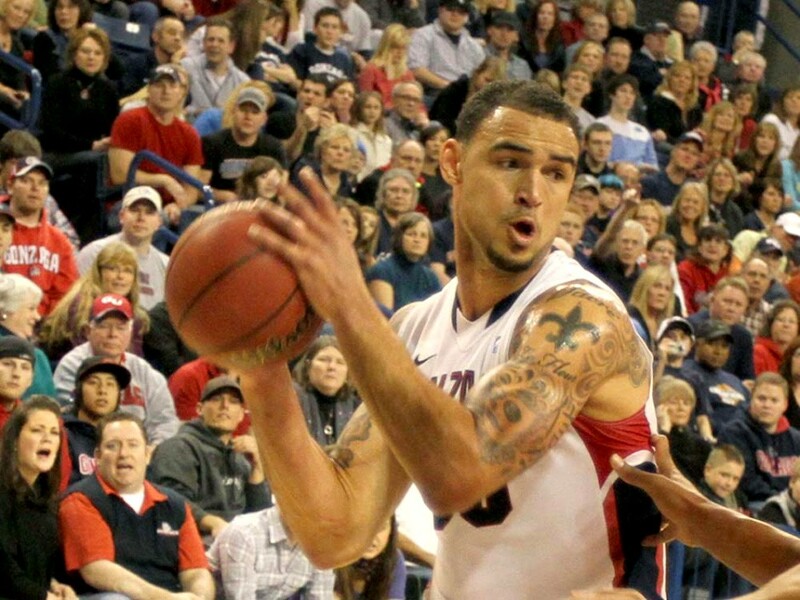 “I knew I needed to be a Zag,” Sacre says. Sacre plans to make his annual summer trip to Louisiana after graduating in May with a sport management degree. (He redshirted in 2008-09 with a fractured foot.) But first, however, he has every intention of helping Gonzaga advance to the NCAA tournament for the 12th consecutive year.